In this first episode of Smart Web Creators, you get to meet Davinder Singh Kainth. Davinder has been in the WordPress digital space for over ten years now designing and creating digital solutions for the web. 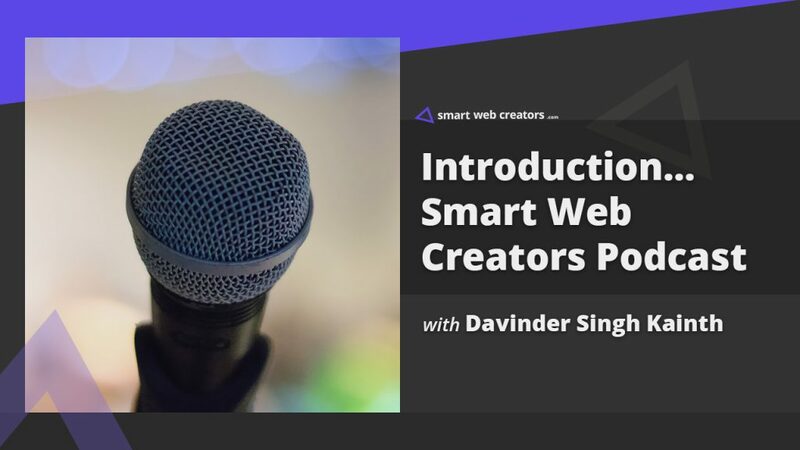 In the Smart Web Creators podcast, you can look forward to Davinder interviewing web creators creating amazing things on the web and sometimes to just him discussing useful web stuff. Davinder started the Smart Web Creators podcast because he found that he was ready to share his experience. He wants the listener to reach a level of confidence being visually recorded and speaking so that they can feel comfortable sharing their expertise and keep creating. He shares a little about imposter syndrome and how he overcame that in the last couple of years with the creation of helpful digital courses. Join the amazing Web Creators Community, a free Facebook group to get involved with a committed community of web creators that show up to get things done and share learning new things.